The power of participation, from concept to celebration. 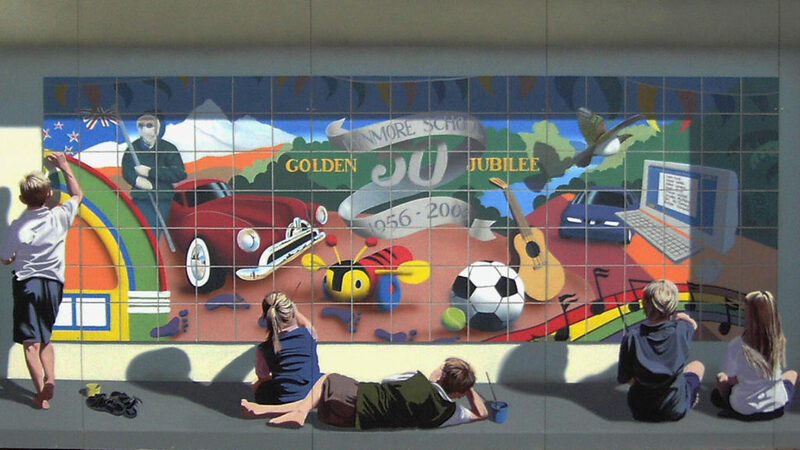 Marc facilitates high profile community projects to achieve real ownership and success in public art. An intriguing extension of the community’s local playground. 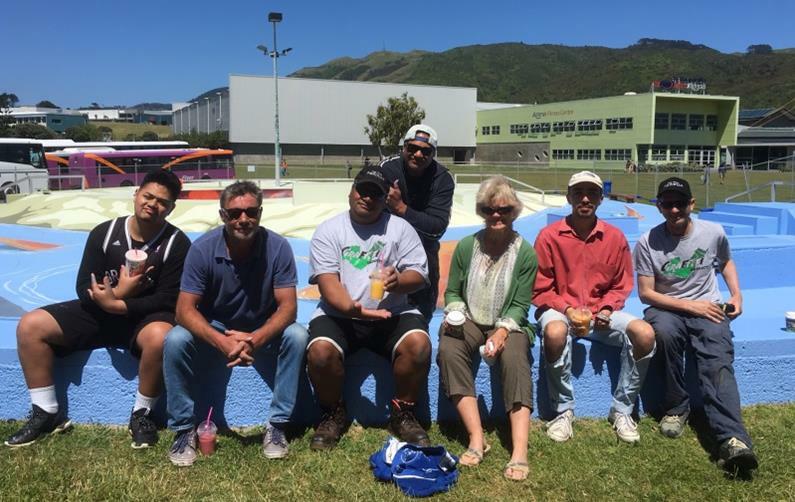 A project driven by, and featuring, local youth. Ownership is inherent. Legend has it that the Taniwha ‘Awarua’ once lived in the Porirua harbour. Awarua always wished she could fly, but with a huge body and flipper-type wings, this was always going to be a big ask! But with a series of lessons from her friend ‘Rereroa’ the albatross, Awarua trained hard to bring up her wing strength and build up speed for take off. On her first attempt, things didn’t go so well. 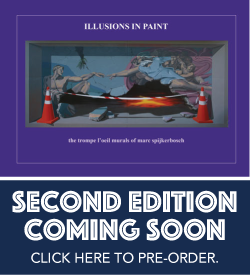 As she skipped furiously across the harbour for take off she barely gained enough height and ploughed into the nearby hills to create that gouge in the landscape known as Whitiroa. Next effort went a little better, airborne at last! But this time, not paying attention to her flight direction, she smashed into nearby Mana island shearing the top off it. That’s why Mana island has a flat top today. 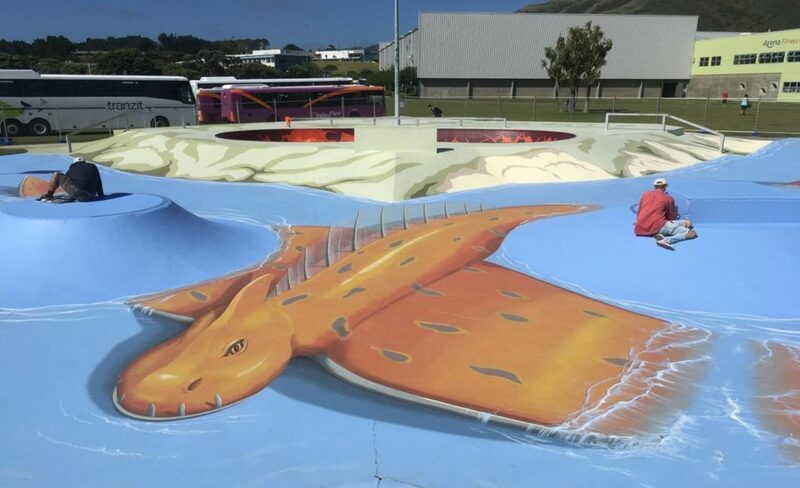 Bringing the legend to life, Awarua lands in Porirua’s skatepark, 2016. Collaborating with youth for youth spaces ensures empowerment, ownership and longevity. 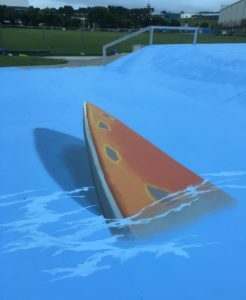 A unique artistic partnership in public art. 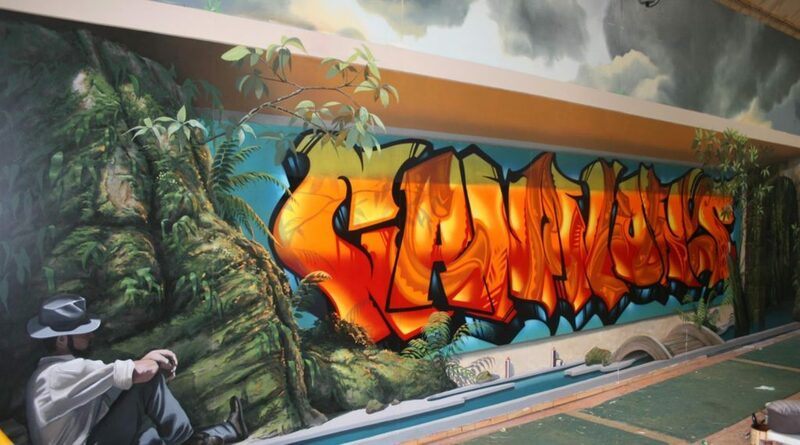 Street art meets trompe l’oeil. 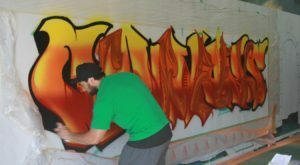 Respected local graff Artist ‘Antz’ works on his wildstyle graffiti piece in the studio at Lake Rotoma. 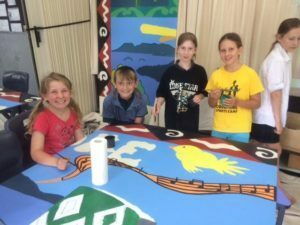 Painted on panels in the classroom, five primary schools with 200 children tell their stories – and transform the local airport into a vibrant, community-owned asset. 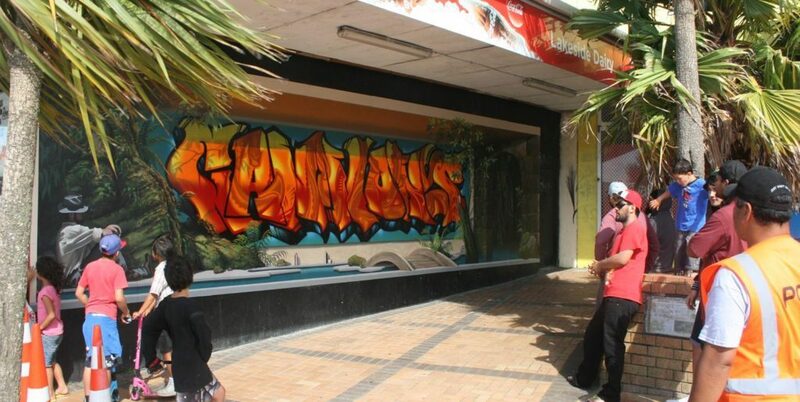 ‘Jubilee’ Lynmore School, Rotorua, NZ. No question, participation gives ownership and ensures longevity – particularly in the public realm. For assistance or advice on your next project, contact Marc.